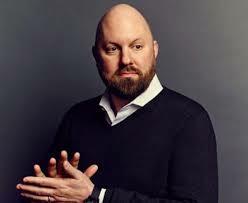 Billionaire investor Marc Andreessen, co-inventor of web-browser Mosaic and co-founder of Netscape, is putting cash into a new venture which intends building small geostationary satellites to provide a global broadband service. His investment, made by his Silicon Valley venture capital fund, Andreesson Horowitz, is going to satellite start-up Astranis and the projects second-round of financing. This batch of investment equals $13.5 million and takes the total raised to date to some $18 million, which is some way off the cost of either a satellite or its launch. Other investors mentioned include Y Combinator, Fifty Years, Refactor Capital and Indicator Fund. Astranis was founded by John Gedmark and Ryan McLinko. They are planning to build smallish (about 300 kgs) ‘micro’ satellites but unlike many of their other broadband satellite rivals, they are focusing on geostationary operation. They say a test satellite (DemoSat-2) sent into orbit by an Indian rocket in January has demonstrated its ability to supply broadband and HDTV video streaming and overall can supply 10 GB/s of capacity.